Renting your plates, glassware, and flatware helps provide style and ease for any event! 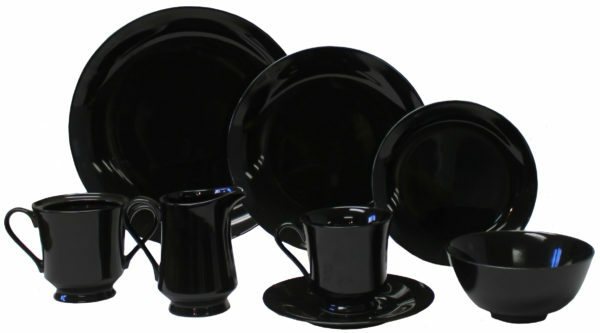 Whether you are having a wedding or hosting a dinner party we have series to fit all styles. Our Black china series provides a clean and unique look. There is no need to have and store larger quantities of dinnerware than the ones you use on a typical basis. With the largest quantities in Colorado we can provide for events of any size! When renting, your items will be given to you in a crate or box – cleaned, sanitized, and ready for use. When returning, we simply ask that you scrape of the excess food, give it a light rinse, and put them back in the provided containers. Do not worry about cleaning them, as we do that in house.